I'll tell you more about the postapocalypse when I find all my the-future-is-the-pits books. In the meantime, I'd like to mention some books I've come across in my searching, the ones perfect for reading this summer. 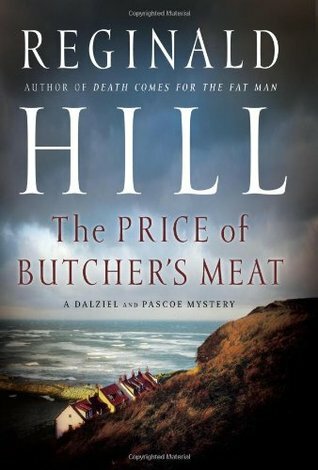 A few days ago, I happened upon Reginald Hill's The Price of Butcher's Meat, also published under the better title of A Cure for All Diseases, and couldn't resist a re-read. It's the second to last in the Andy Dalziel and Peter Pascoe series and dedicated to fans of Jane Austen (you'll see why when you read it). Dalziel is at the Avalon clinic in the seaside resort of Sandytown, recovering from injuries suffered in an explosion. 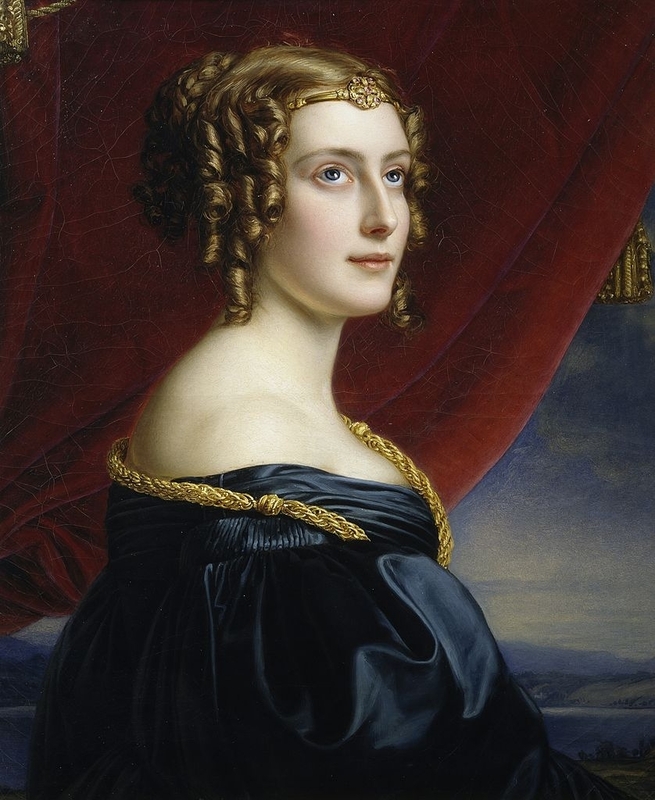 While fresh psychology grad Charlotte Heywood's emails to her sister sometimes feel excessive, I love this book for its look at Dalziel as an invalid (!) and Daphne "Big Bum" Denham, a rich woman who likes to make people around her dance. The ocean setting and the murder (a sure nominee for best summer crime scene) make it perfect hot-weather reading. It can be read as a standalone, but it's best appreciated if you already know Hill's characters––and believe me, they're well worth knowing. I'm now reading Death Comes for the Fat Man to remind myself how Dalziel was blown into his coma in the first place (of course, PC Adolphus Hector was involved) and how Peter and Wieldy investigate in the Fat Man's absence. Scotsman Donald Pace goes missing in northern Africa during World War II in Gerard Woodward's poignant and offbeat comedy Letters from an Unknown Woman (also published as Nourishment). Donald's wife, Tory, works toward the war effort at Farraway’s Gelatine Factory. She has evacuated their children to the Cotswolds and is living southeast of London with her widowed mother, Mrs. Head, as the book begins. Like Death Comes for the Fat Man, Woodward's book begins with a big bang. This one, courtesy of a German bomb, levels Dando's butcher shop next door and provides an almost perfect leg of what Mrs. Head and Tory hope is pork for their dinner. Soon a letter from Donald arrives. He's prisoner at a German stalag and he begs Tory to send him dirty letters. Tory's efforts to satisfy him awaken a new woman. It's much more than a sexual awakening. It's Tory taking charge of her own life. By the time Donald, a very bad sort, returns home, no one is the same. In I Shall Be Near to You by Erin Lindsay McCabe (Crown, January 2014), onetime tomboy Rosetta Edwards refuses to stay home when her new husband, Jeremiah Wakefield, joins the Union Army to earn money to buy a farm in Nebraska. When he goes off to fight the Civil War, she cuts her hair, becomes "Ross Stone" and passes a cursory physical to fight at his side with other volunteers from rural New York. This beautifully written book, narrated by the memorable Rosetta/Ross, is a love story set against the loud and dirty backdrop of war. It's based on letters written home by hundreds of northern and southern women who actually fought in the Civil War. 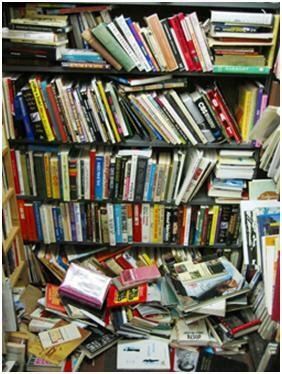 And now back to the trenches of book sorting and shelving in our bedroom. I think you'll really like I SHALL BE NEAR TO YOU. A gutsy heroine, touching love story and grim picture of the Civil War. AUTHORITY is very different from ANNIHILATION, which as you know involves an expedition to the mysterious Area X. AUTHORITY features the acting director of the Southern Reach and is set mostly at its headquarters. We learn more about what's behind the expeditions. It prepares us for the last book in the trilogy, coming in September. I'm looking forward to it!